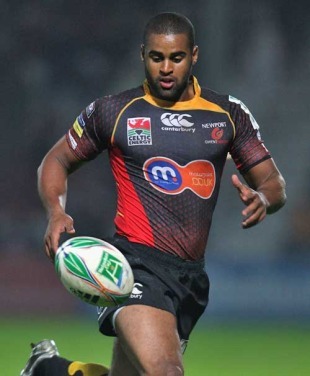 Dragons chief Martin Hazell has criticised the influence of agents following Aled Brew's defection to Biarritz. The Wales winger will leave Rodney Parade at the end of the season, having turned his back on a new contract with the Dragons at the last minute. The Gwent region will also lose Wales lock Luke Charteris to a deal in France at the close of the current campaign, while highly-rated fly-half Jason Tovey is set for a switch to the Cardiff Blues. "We are really disappointed. We've been in negotiation with Aled for some time now," Hazell told BBC Sport. "We understood he was going to sign for us. But a lot of these decisions these people are taking are because agents get paid for transferring them to other clubs. "If they re-sign with us they don't get a fee so [agents] will do their damnedest to move them on."